Nancy Reagan (1921-2016) was an American first lady (1981-1989), the wife of Ronald Reagan, 40th president of the United States, and actress, noted for her efforts to discourage drug use by American youths. Anne Frances “Nancy” Robbins was born in New York City on July 6, 1921, to actress Edith Luckett and salesman Kenneth Robbins. When her parents separated shortly afterward, she was sent to live with an aunt and uncle in Bethesda, Maryland, while her mother continued her acting career. After Luckett married Chicago neurosurgeon Loyal Davis in 1929, Nancy was exposed to a more affluent upbringing. She attended the private Girls’ Latin School of Chicago and then Smith College in Massachusetts, earning a B.A. in drama in 1943. Nancy signed a seven-year contract with Hollywood’s MGM Studios, earning supporting parts in the 1949 films “The Doctor and the Girl” and “East Side, West Side.” Later that year, she was surprised to find her name on a list of “communist sympathizers” in a trade magazine, and was advised to seek the help of Screen Actors Guild president Ronald Reagan. The two began dating after Reagan provided assurance that her career was safe, and they were married at the Little Brown Church in California’s San Fernando Valley on March 4, 1952. Nancy starred alongside her husband in the 1957 feature “Hellcats in the Navy,” but apart from a few television appearances she gave up her acting career toward the end of the decade. 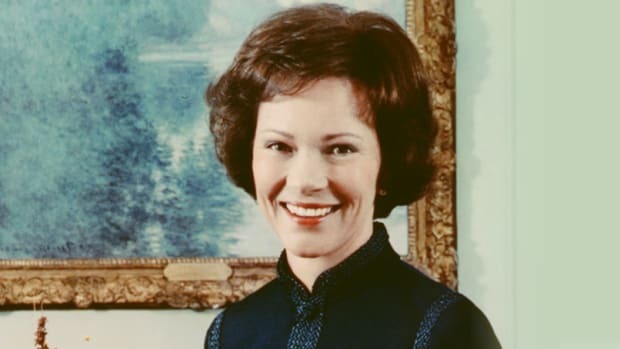 Having already assumed custody of Maureen and Michael, Reagan’s children from his previous marriage to actress Jane Wyman, she became more focused on family life with the birth of daughter Patti and son Ron. 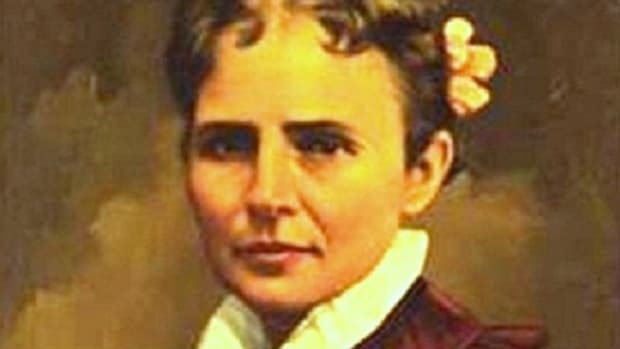 She also began fostering relationships with prominent Southern California businessmen as her husband made the transition to politics. 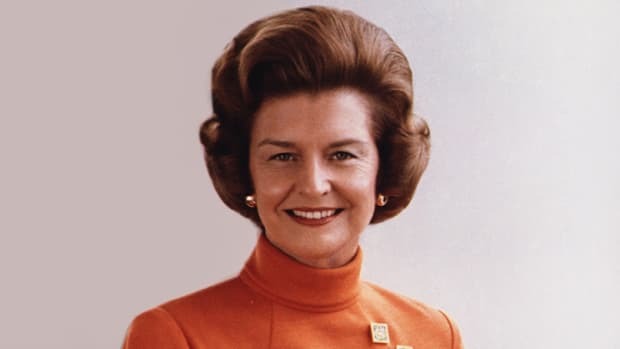 After Reagan was elected governor of California in 1966, Nancy used her new public platform to assist Vietnam veterans and lead the Foster Grandparents program, which paired senior citizens with special-needs children. 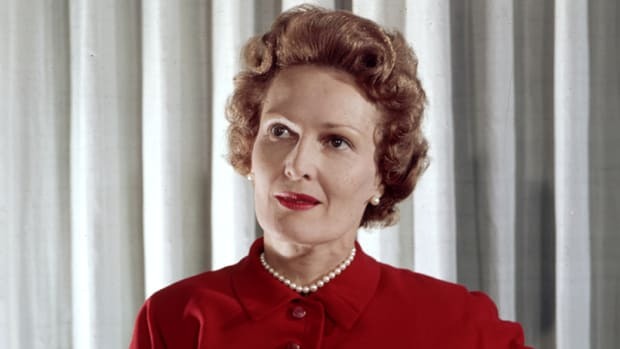 Favorably compared to former first lady Jacqueline Kennedy for her youth and style, she was named the Los Angeles Times Woman of the Year in 1968. Upon Reagan’s election to the presidency in 1980, Nancy set about refurbishing the private upstairs residences and rooms of the White House. She launched her famed “Just Say No” anti-drug campaign in 1982, touring the country to give speeches and visit rehabilitation centers. 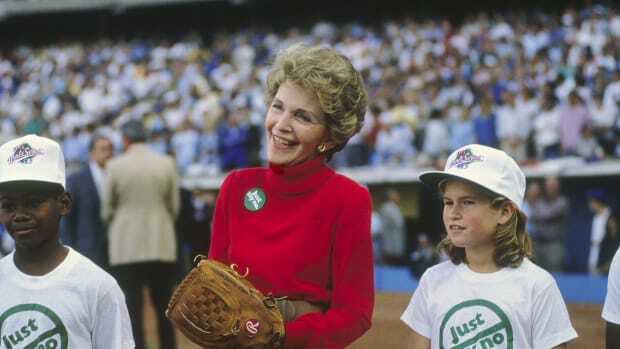 In 1985, she hosted the first ladies of 17 countries in an international conference on youth drug abuse. 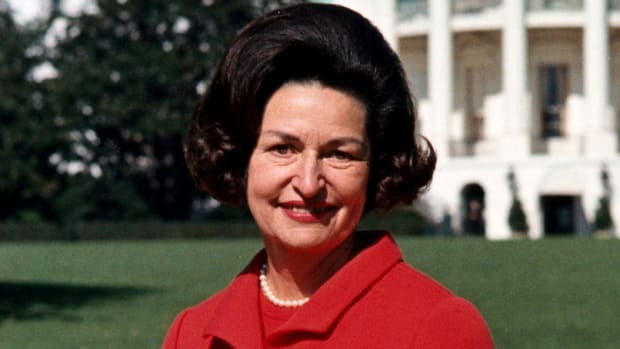 Nancy weathered multiple crises during her eight years in the White House. 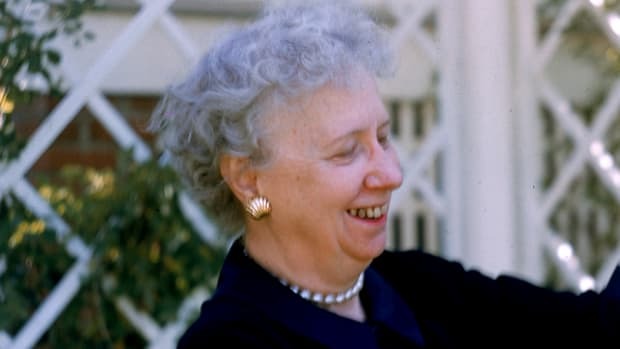 Her husband was shot in an unsuccessful assassination attempt shortly after entering office in 1981, and she underwent a mastectomy after being diagnosed with breast cancer in 1987. 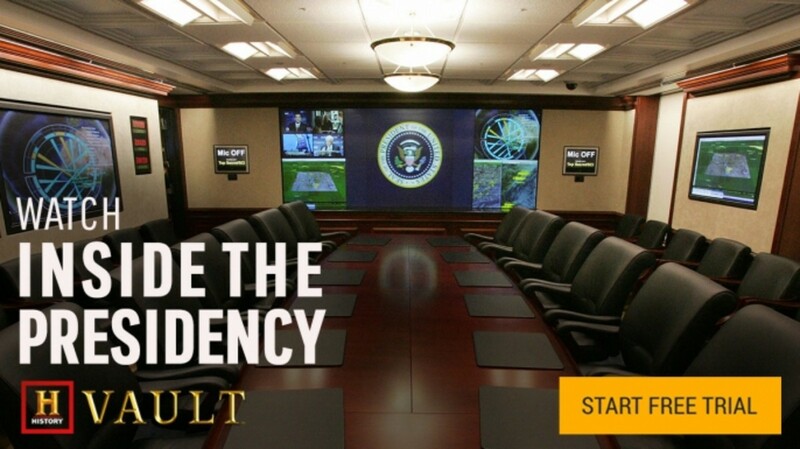 Fastidious about protecting the president’s well-being and public image, she exerted a strong behind-the-scenes influence when it came to dictating his schedule and selecting cabinet members. 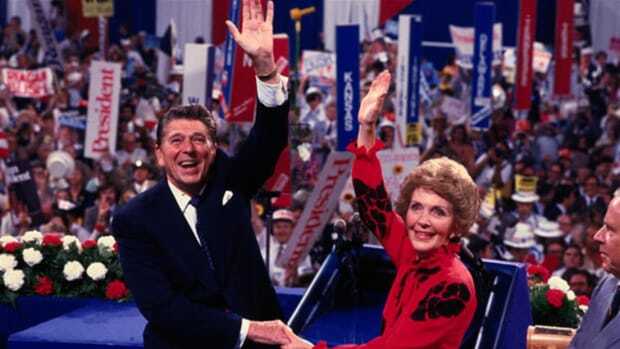 After leaving the White House in 1989, the Reagans retired to the Los Angeles suburb of Bel Air. The former first lady published her autobiography “My Turn,” and launched the Nancy Reagan Foundation to support after-school drug prevention programs. 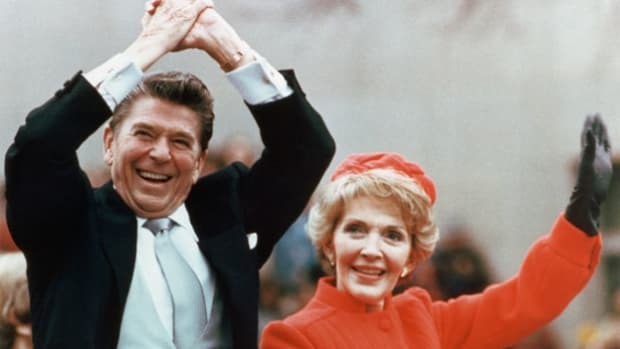 In 1991, she and her husband oversaw the dedication ceremony for the Ronald Reagan Presidential Library in Simi Valley, California. 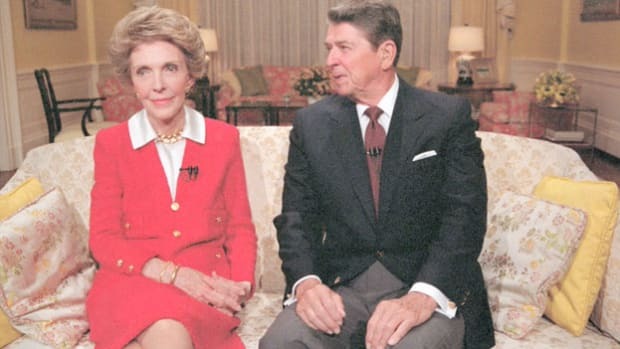 Following Reagan’s 1994 announcement that he was suffering from Alzheimer’s disease, Nancy served as his caretaker until his death in June 2004. She became a staunch advocate for embryonic stem-cell research, pressing Congress to increase federal funding to accelerate progress. 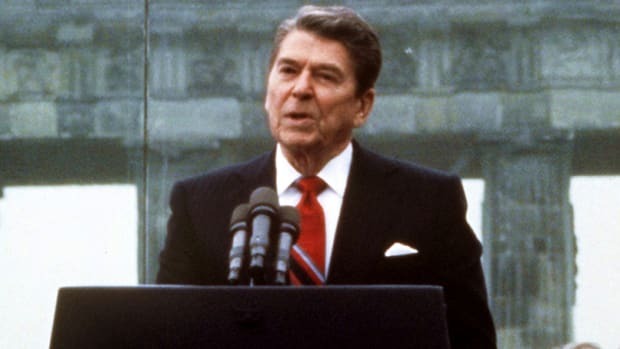 Devoted the expansion and endowment of the Reagan Library in her twilight years, she made a rare public appearance for the signing of the Ronald Reagan Centennial Commission Act at the White House in 2009. On March 6, 2016, Nancy Reagan died of heart failure at 94.